Luang Por Jek was Born on the 10th September ordained as a Samanera Novice Monk at the age of 10 years Old at Wat Jiindtawas in Pattalung, and was schooled by Luang Por Chum Opaso, the abbot of Wat Po Dtamnan. 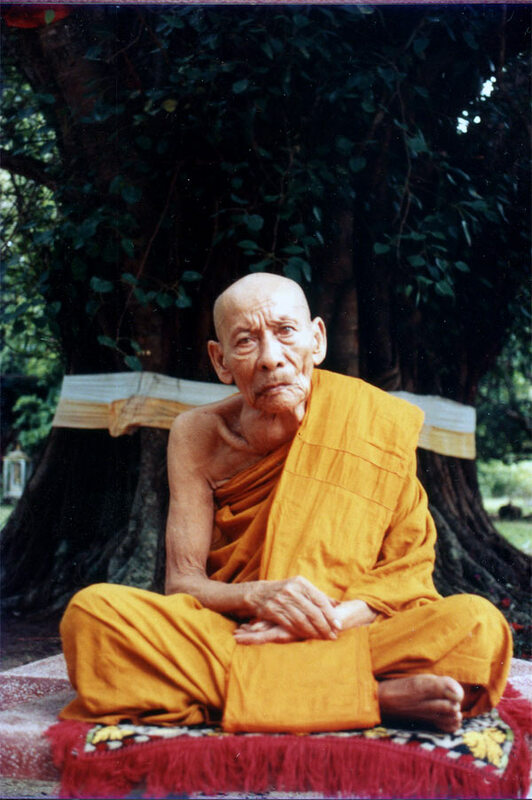 He was educated in both reading and writing Thai, and Ancient Khom Pali Sanskrit. He began at this early age to study and practice Wicha Saiyasart (Sorcery Spells) with Pra Atigarn Kham (Abbot of Wat Jintawas), and mastered all of the Wicha of this Temple in a short period of time. Luang Por Pra Atigarn Kham thus took Luang Por Jek to see Luang Por Tong of Wat Prajim Tisaram, to continue to practice and master more Wicha. He learned the Wicha Raksa Roke to heal illnesses and ailments using Samun Prai herbal medicine in conjunction with Magical methods. Then the day came when his family needed his help with the household, and he disrobed to assist them. He was very interested and able in the arts, such as carving images, as well as performance arts such as playing musical instruments, and was able to work to help the family reach a state of prosperity. Once the family were in a prosperous situation, he decided to ask his parents for permission to ordain back into the Sangha as a monk again, and receive permission. he re-Ordained at the age of 23 for the second time at Wat Jindtawas at 15:32 on the 13th February 2467 BE, with Luang Por Dam Intasaro of Wat Ta Kae as Upachaya Ordaining Officer. Pra Kroo Winai Torn of Wat Intranimit was his Gamma Wajajarn Prompting Officer, and Pra Atigarn Kham was his Anusawanajarn Witnessing Officer. 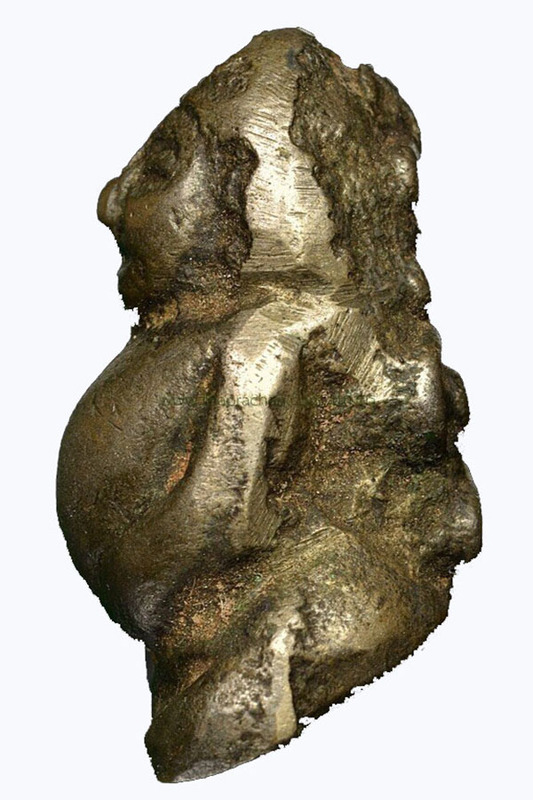 Luang Por Jek himself was renowned for his many powerful Wicha, of which his most famous were the Alchemical and Metallurgical Magical Arts of forging sacred Metallic images and talismanic object, and his ability with herbal magic to heal illnesses and cure serious ailments. His Wicha Kong Grapan Chadtri Maha Ud Invincibility Magic was legendary even during his early era. 1. Luang Por Dit (Wat Pak Sa) 2. Ajarn Iad (Wat Don Sala) 3. Ajarn Parn (Pra Kroo Ga Derm), of Wat Khien Bang Gaew Khao Chai Son) 4. 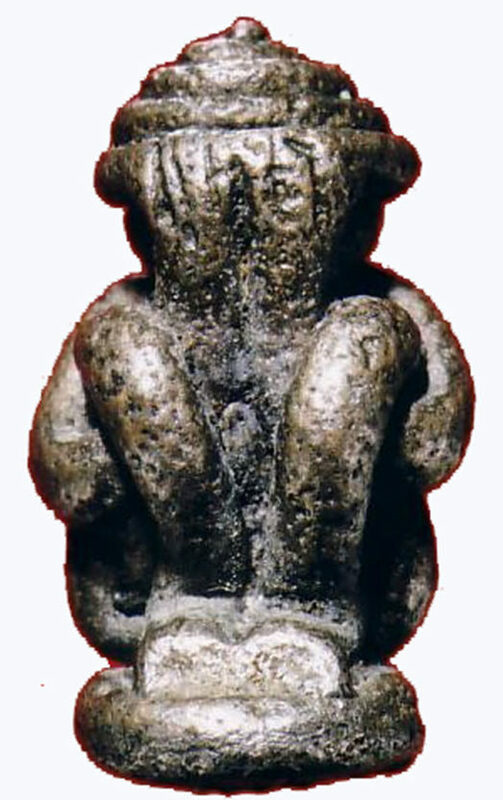 Luang Phu Lek Bunyago, of Wat Pradoo Riang Kuan Khanun 5. Luang Phu Dtud, of Wat Kuha Sawan 6. Luang Phu Hmun Yasaro, of Wat Khao Daeng Dtawan Awk 7. 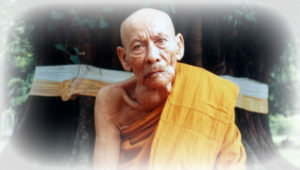 Luang Por Sri Gaew Gulakuno, of Wat Sai Yai Kuan Niang, in Songkhla 8. Por Tan Si Nuan, of Wat Ban Dan in Nakorn Sri Tammarat. Luang Por Jek remained at Wat Jintawas after his ordination until the year 2478 BE, whereafter he went to stay at Wat Pradoo Tong, and remained there to practice until the year 2480 BE. It was here that the devotees of Wat Khao Daeng Dtawan Dtok came to invite Luang Por jeck to come and reside at their temple. Luang Por Jek accepted, and went to stay at the temple of Wat Khao Daeng Dtawan Dtok, and was to remain there for the rest of his life, until his final passing at the age of 83, the 3rd December at 21:20 Hours, in the Year 2528 BE. Luang Por Jek spent 60 of his 83 years ordained as a Bhikkhu, devoting almost all of his life to the Buddha Dhamma, and helping his Devotees to lessen their sufferings with his Blessings, healing magic, holy water, and his amulets.